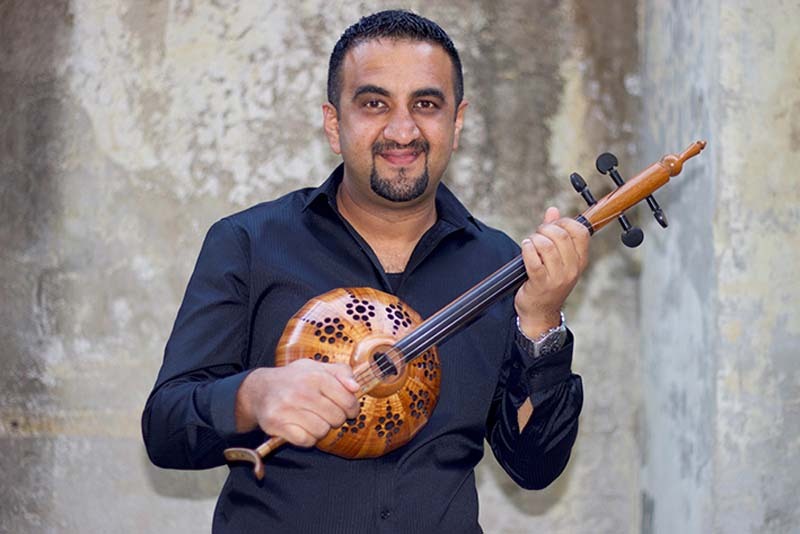 Professional musicians from refugee backgrounds who have played internationally in traditional and world music ensembles are featured in this group. Some now live in Brisbane or elsewhere in Australia. They present beautiful evocative Arabic music on violin, Joza and kamanche, ney flute, clarinet and many other instruments. The rich cultural benefits of migration continually bear the most exotic fruit with the emergence of a diverse range of virtuosic musicians and ensembles in Australia. Meet the musicians and the organisations supporting their resettlement and cultural expressions. Throughout Middle Eastern history, music has been associated with the extraordinary powers of transformation, by casting an overwhelming emotional effect upon their audience. The impact continues in Arabic Tarab music today. Experience the joys of the rhythmic, percussive Arabic wedding and other old folk/popular and classical music styles with festival guest musicians from Syria, Iraq and other Middle Eastern countries, now settled in Australia.